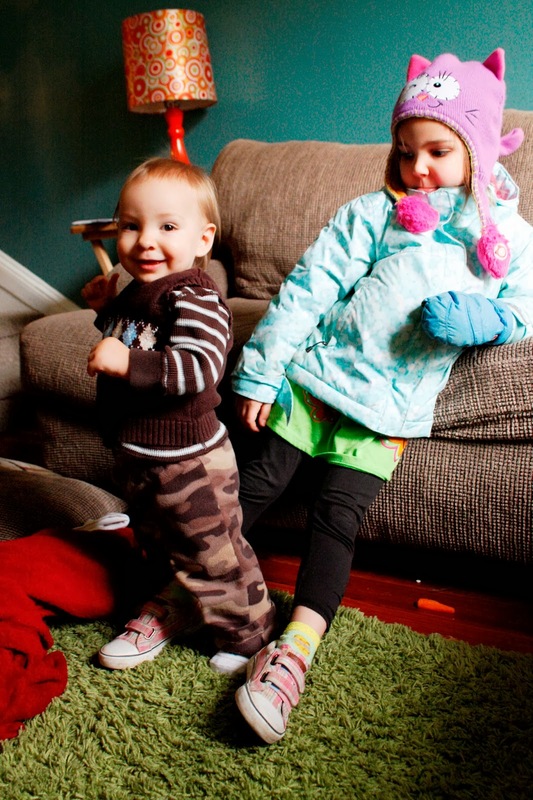 Hannah has turned her print-splosion fashion flair to her brother. Every day she begs to dress him, but most days I refuse to take him out of his pajamas--what's the point?? Today she dressed him in fleece camo pants, a striped shirt, and a sweater vest. And yes, he's standing up by himself. He can do that for a few seconds at a time now.